Let's explain what Metawidget is doing. Metawidget uses its Inspectors to retrieve metadata about which properties to render. Then it iterates over those properties and chooses appropriate widgets for them. For simple types, like string and number, Metawidget chooses native widgets like input type="text" and input type="number". But for complex types, such as object, it creates a nested Metawidget and recurses into it. For this to work, the Inspectors have to play along. They cannot return the same metadata for the nested Metawidget as for the top-level Metawidget. If they do, we'll just recurse infinitely. This is what we're seeing. Actually you can see Metawidget helpfully caps the recursions so that the browser doesn't crash completely! This is the 'native' way of doing things. Another way of thinking of it is: the 'native' result from an Inspector cannot contain nested properties. Of course, for more complex use cases your Inspector will have to consider which names it's being asked for and act accordingly. I like the way you gave example of your code. I want to combine 2 JSON scehma by composite inspector. On schema is coming from back-end and is purely about data, then I want to combine it with UI properites given in another JSON schema with same properties. But it goes in infinite loop. As described in this blog post, make sure you are checking the 'names' array in your custom inspector. 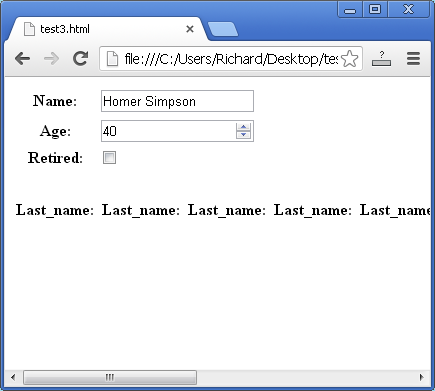 Metawidget will pass different 'names' to inspect different parts of your schema. If you're always returning the same schema regardless of 'names', then you'll get an infinite loop. Many many thanks for prompt response. it solves the problem and pageisgetting displayed. but I have new issues now. 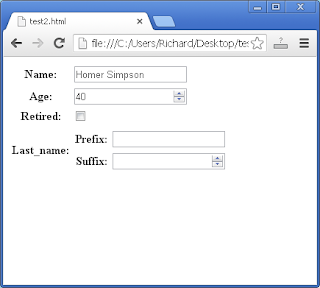 My Approach is to get JSON schema for data from server(generated from existing XSD), and then specify UI properties (like: readOnly, title,propertyOrder etc) in JSON schma on UI side. 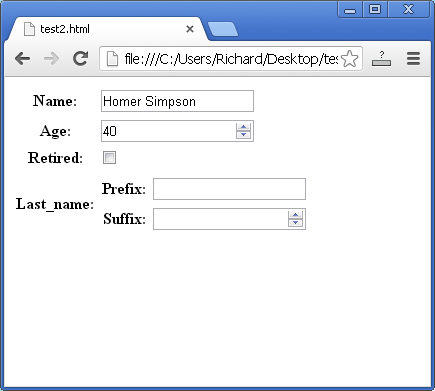 and then use compositeInspector to combine both schema to generate UI. 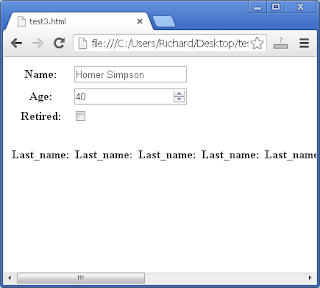 For example in below JSON I have given Title null for WSAComment, WSACommentType. It works for WSACommentType (label is not shown)but it doesn't work for WSAComment (label is shown ), Similarly propeties specified for name and check are not working, if I add these properties in shcema returned from server (I am passing that scham to JSONSchemaInspctor), then it works.